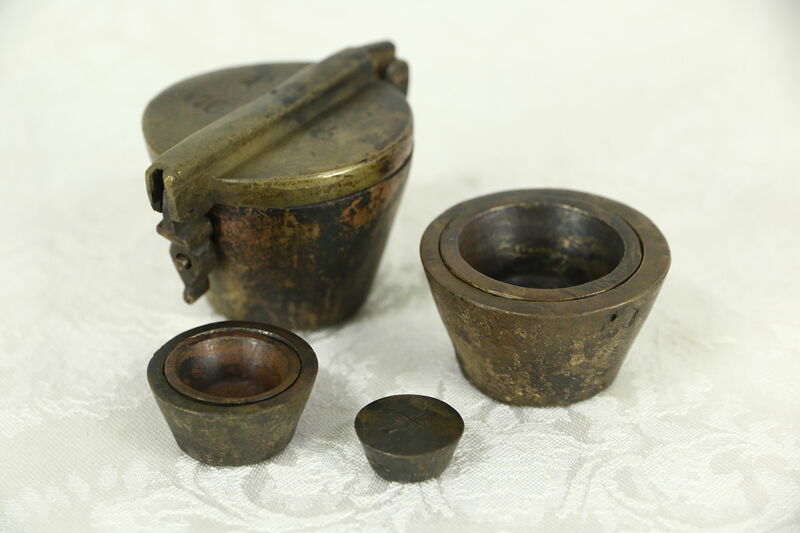 A set of English brass scale weights from the late 1800's fit together like concentric little pots. The smallest is engraved "1/2" ounce, the set together weighs a pound, engraved "16" ounces. This antique six piece set has a latch. Size is 2" x 3" and 1 1/2" tall.